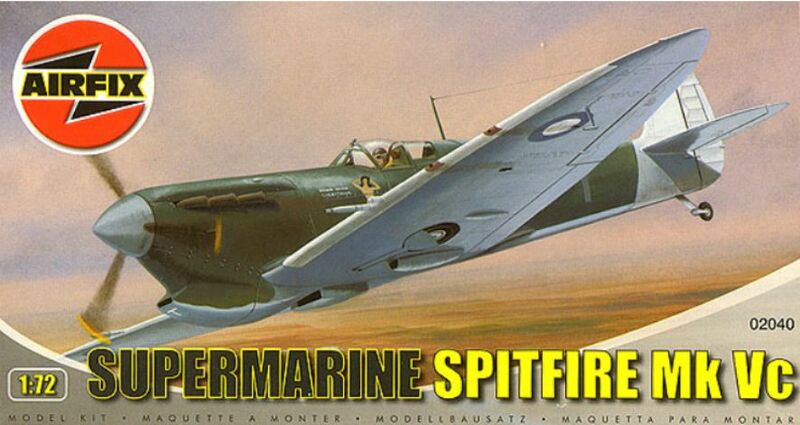 The Also ran fighters department – Airfix Supermarine Spitfire Vc | The M.o.B. Nobody with any idea of history would describe the Spitfire as an also ran. Contrary to what British propaganda would have us believe, the Spitfire was not always the right aircraft for the job. An example was the use of the Spitfire on Goodenough Island in the New Guinea campaign. Australia’s use of the Spitfire began in political controversy when it was first acquired in August 1942 under the code name “Capstan”. In some quarters it was felt that the aircraft was too difficult to deploy as the logistical chain stretched half way around the world and that Australia’s need could best be satisfied by American fighters. This opinion would prove to be correct in the course of time as the Spitfires were often grounded due to lack of spare parts. Argument also raged on the best use of the Spitfire as at the time Darwin was being regularly bombed by the Japanese. 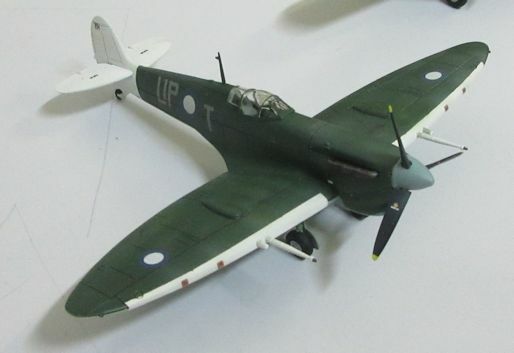 A point defence interceptor such as the Spitfire was seen as having the right attributes to beat off the Japanese. However, other factions thought that the best defence was to take the battle to the Japanese and this faction won, resulting in the formation of 79 Squadron in April 43. 20 aircraft were transferred from No.1 wing, tasked with the defence of Darwin resulting in severe shortages of these aircraft in the May to July period. The 20 aircraft formed the initial equipment for 79 Squadron which was formed at Laverton. Shortly after the Squadron transferred to Wooloomanata Station prior to deployment to Goodenough island. Wooloomanata Station provides a local link to history as it still exists in nearly its original form. It is located on the West side of the You Yangs near Geelong. After the war the station returned to its use as a sheep station and it has remained in private hands since WW2. Many of the WW2 buildings still stand and the runway is still in use for private aircraft. It is now the home of former channel 9 travel journo, Catriona Roundtree. 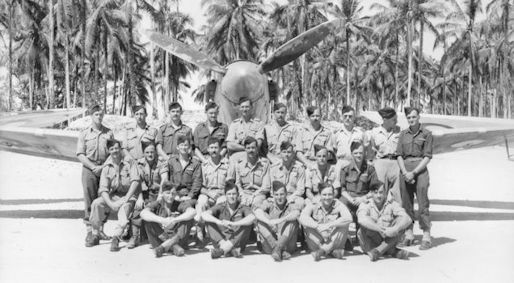 79 Squadron deployed to Goodenough island in June 43 and were tasked with providing base defence, and top cover to aircraft using bases on the island. 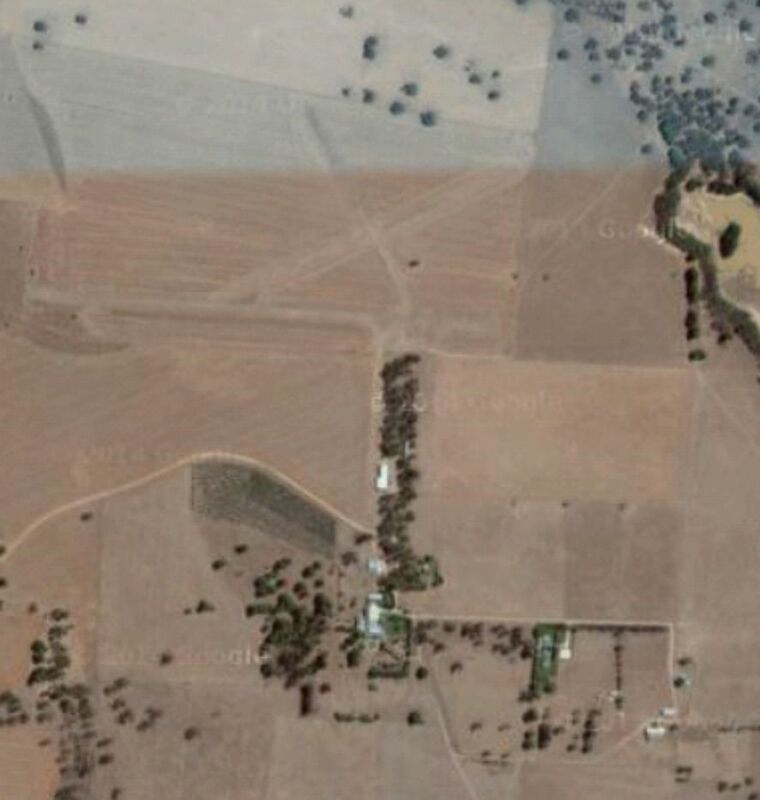 79 Squadron shared its airfield with Kittyhawks of 76 Squardron. This then allows a close comparison of the performance and deployment of the British and American Fighters. The Spitfire was initially deployed to defend the bases on the island and the first success was when a Kawasaki Ki-61 Tony was shot down in October. Spitfires had been scrambled many times prior to intercept Dinah recon aircraft but these attempts had been unsuccessful to this point. Few Japanese aircraft were encountered over the Island despite being close to the massive Japanese base at Rabaul. The short range of the Spitfire prevented its use for fighter sweeps or ground attacks so most of the offensive tasks fell to the Kittyhawks of 75 & 76 squadron. The Spitfires were reduced to flying patrols and for escorting shipping and few enemy aircraft were encountered. They would eventually account for another Tony as well as a pair of Dinahs. The lack of spare parts would eventually ground the Spitfire with as few as 2 remaining airworthy. The Mk Vc Spitfire was eventually replaced by the Mk VIII in Jan 45. 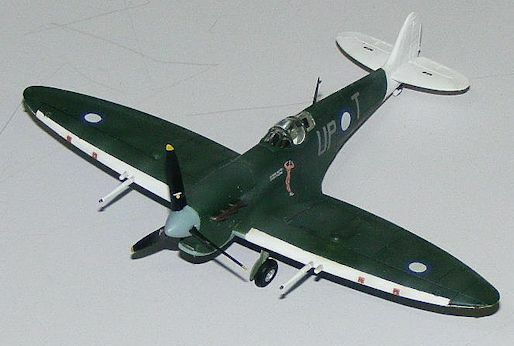 The Spitfire would eventually serve in large numbers in the RAAF but it’s deployment in the Pacific was ineffective due to the short range of the aircraft and the lack of spare parts. It was best employed as a point defence interceptor where radar was in place, which allowed it to be in the air and waiting for its target. The much maligned Kittyhawk’s performance was in stark contrast to the Spitfire. Although it couldn’t match up with a Zero in a turning dogfight, it was able to absorb much more damage, was reliable and was easier to repair. The Kittyhawk was deployed mostly for ground attack and in this it excelled. Even when it encountered an enemy aircraft, it always had the option of whether to fight or not. This kit is neither one of the classic Airfix kits nor one of the new production kits. The kit is a mix of the old Vb with a new mould wing for the universal wing variant. The kit also contains the original wing as well. 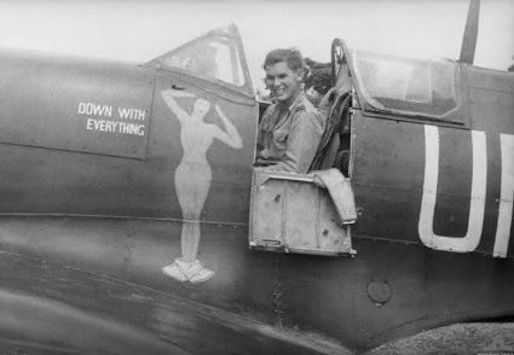 Markings are provided for a 79 Squadron Spitfire as well as one in South African service. The old parts of the kit form the fuselage and tail, and these part shave raised surface detail. The new wing parts have rather heavy surface engraving. This mismatch of raised lines and engraving requires the panel lines to be sanded off the fuselage and to be scribed instead. This was accomplished using a sharpened nail and some dymo tape as a guide. The new wing also appears to be very thick in comparison to the original. The join between the new and old is not good, requiring a lot of putty. The nose of the aircraft also needs surgery to add a new Vokes filter. This article was edited and updated, and images have been, where possible, ascribed to their sources by the webmaster.